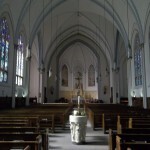 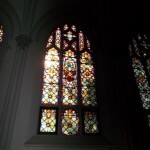 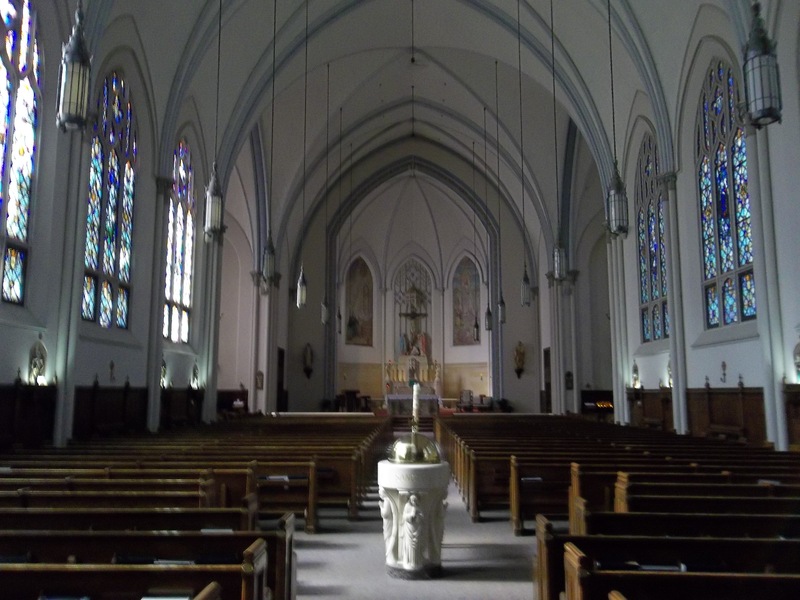 Yet another beautiful church that has a place in the collection is the Sacred Heart Catholic Church. 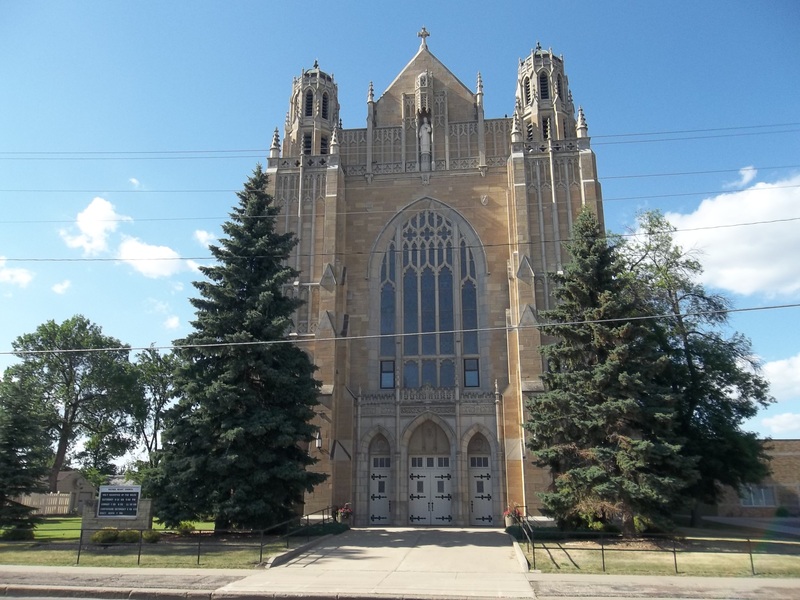 This is a building that has taken on a couple of faces throughout the years, since it was condemned, torn down, and then rebuilt on a grand scale in 1933. 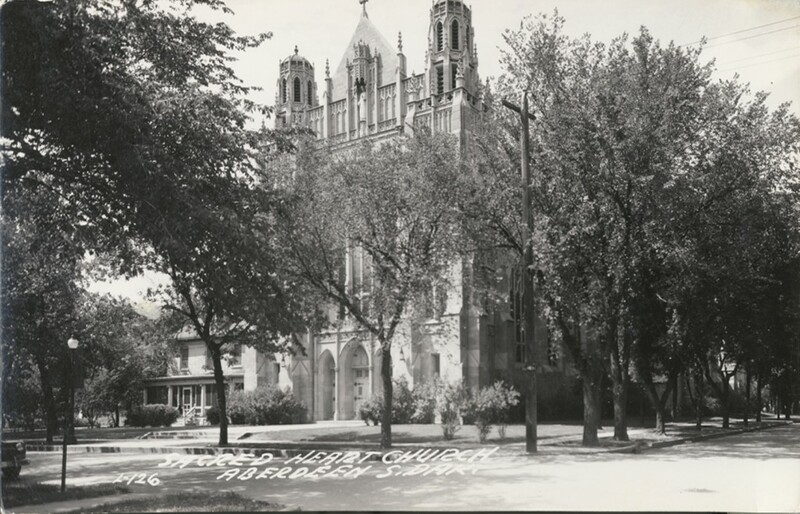 Black and white photograph of the Sacred Heart Church. 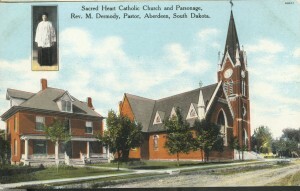 The church Father Haire founded in Aberdeen continued to do well as the years passed, and when it was time to build a new church, it was Monseigneur Dermody who led the congregation. 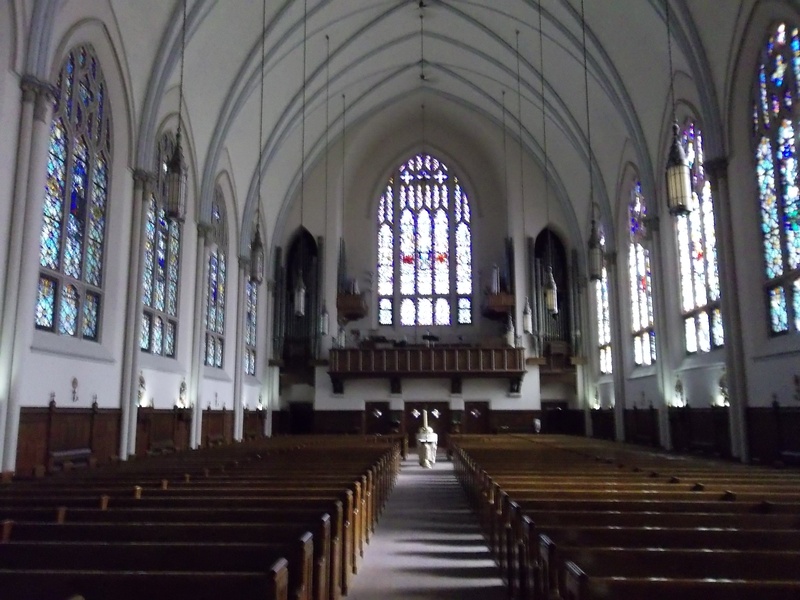 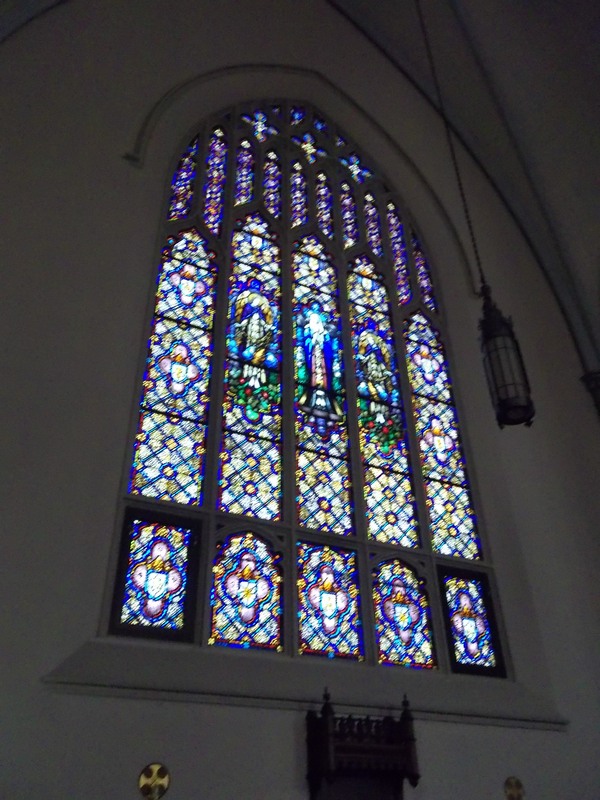 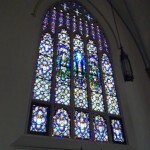 The new church was to cost an estimated $200,000 and be built in the gothic style of architecture. 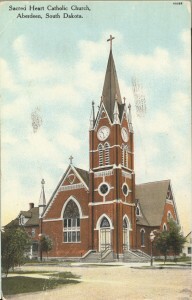 The outside had a white stone outline with gray and tan stone for the main color, featuring a cross rising 81 feet above the street. 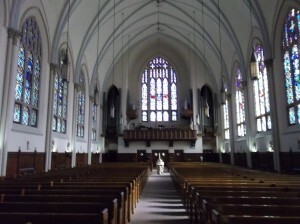 The inside was decorated with panels of hand-carved oak, two miles of plaster molding, and high beamed arches. 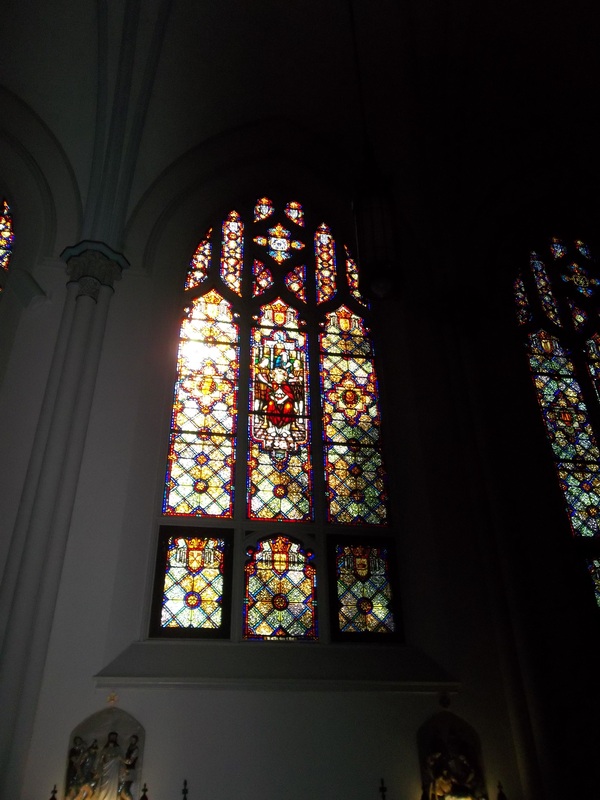 Taking place during the depression, the work was reported to have been done by only the foreman of the company and four specialists with all the rest of the workers being unemployed members of the congregation, and the church was opened in December of 1933 where it remains to this day.